Today, with busy Professional and Personal lives, we can hardly find time. We have often heard many saying twenty four hours in a day is not sufficient. We are so deeply entangled in various day to day activities that we seldom think about others – be it humans or animals. We have started thinking ‘what is in it for me’ in everything we do or give. There is a popular saying “Givers gain”! This means if you give, you get. Giving is not just money or resources. It could be one’s time. And that is called volunteering. One gives time and effort for a cause. The benefits of volunteering are immense and many a time it is priceless. The benefits are not just for the giver but it also helps the family and society connected with the giver. Apart from other direct benefits like getting the right connect, learning new skills etc, volunteering is a stress buster and an anti-depressant. Volunteering also helps people and animals in need and provides a sense of purpose. 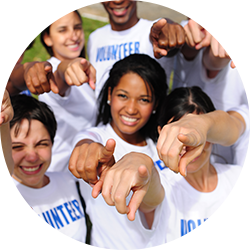 The more one volunteer, more the benefits.